Spotlight on Research: Trees and Healthy Air, Willingness to pay for GI, and more! 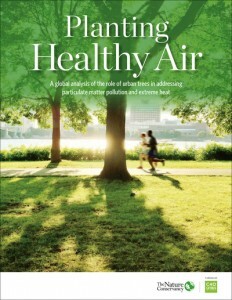 This fall, the Nature Conservancy released the report Planting Healthy Air: A global analysis of the role of urban trees in addressing particulate matter pollution and extreme heat. The report looks at the impacts on human health of air pollution and heat and the role of trees in reducing both of these. Included is a cost-benefit analysis, planting guidelines for targeting these issues, and case studies from around the world that determine what cities would receive the greatest health benefit from increasing canopy cover. For more information and to get the full report, click here. A University of Delaware study published in the journal Agricultural and Resource Economics Review looked at the public’s willingness to pay for water infrastructure. Based on 251 participants, the study found they were more supportive of paying for green infrastructure and conservation than grey infrastructure. Read more about the study here. 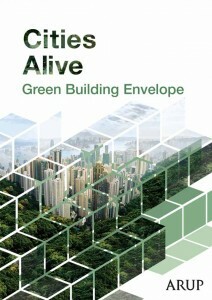 Cities Alive: Green Building Envelope is the latest report from Arup that examines the benefits and strategies that could be used to retrofit urban areas with green facades. Particularly, the report looks at the benefits in acoustics, air pollution, urban heat and quality of life. Included are five case studies from across the globe. Get the full report here. 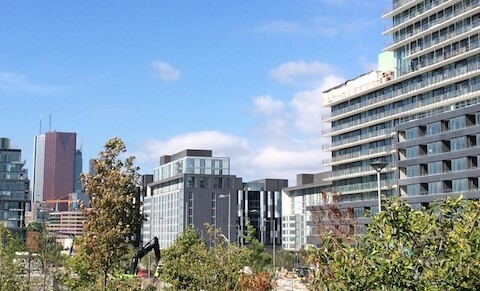 A new study by the University of Leicester and EarthSense Systems quantifies the impact of trees on air pollution of Leicester (UK) city centre. The study used aerial photography, LIDAR, and the National Tree Map to model particulate matter reductions from urban trees. Read more about the study here or download the full paper here.